1700s  First house built (1).
?  Dr. John Saunders Palmer owned the plantation (2, p. 49). 1862  500 Confederate soldiers camped at the plantation. The location was referred to as Palmer's Point (2, p. 49). Circa 1888  A two-story clapboard house was built for owner Millard F. Skipper. This is when the plantation started to be called Silver Hill as a silver dollar is said to have been placed in the foundation during construction of the house (2, p. 49). 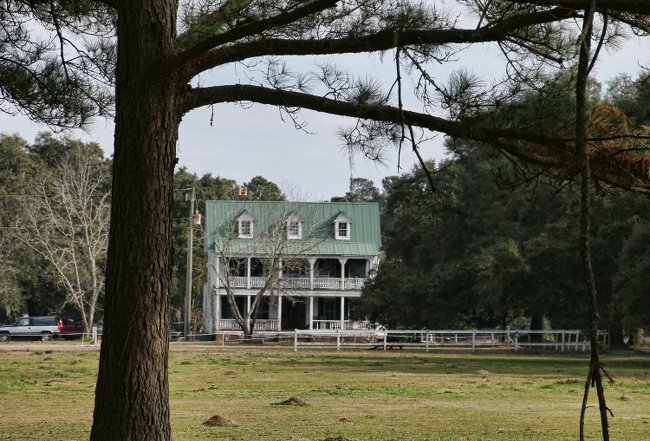 1993  Henrietta G. McClellan was owner of Silver Hill Plantation. The circa 1888 house is still standing (2014).